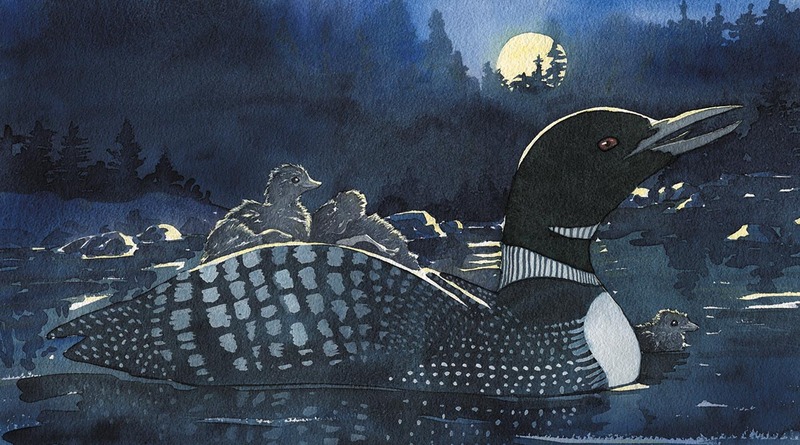 Did you know that loons often carry their babies on their backs? I didn’t, until I began working on this painting of a loon for Why Do I Sing? 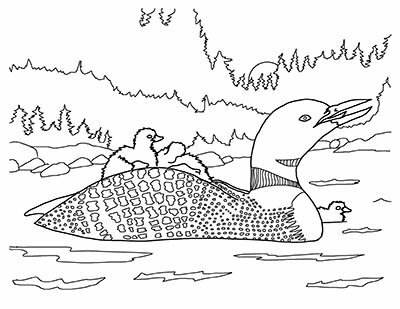 I made a coloring sheet that you can print out and color to have your own picture of a loon. Just click the photo at right to get a printable PDF.